Important: a few pieces of pancetta will never make you fat, so do enjoy this recipe without feeling guilty. 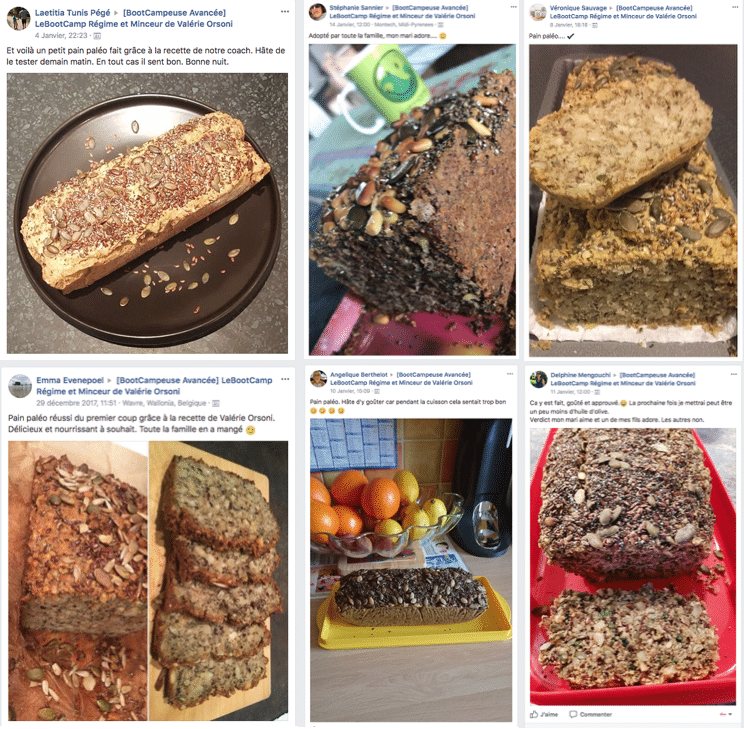 My hubby was not a big fan of my previous paleo bread recipe (which YOU really like ’cause you did post a lot of pictures of your Valou’s paleo bread) because he thought it had too much seeds. 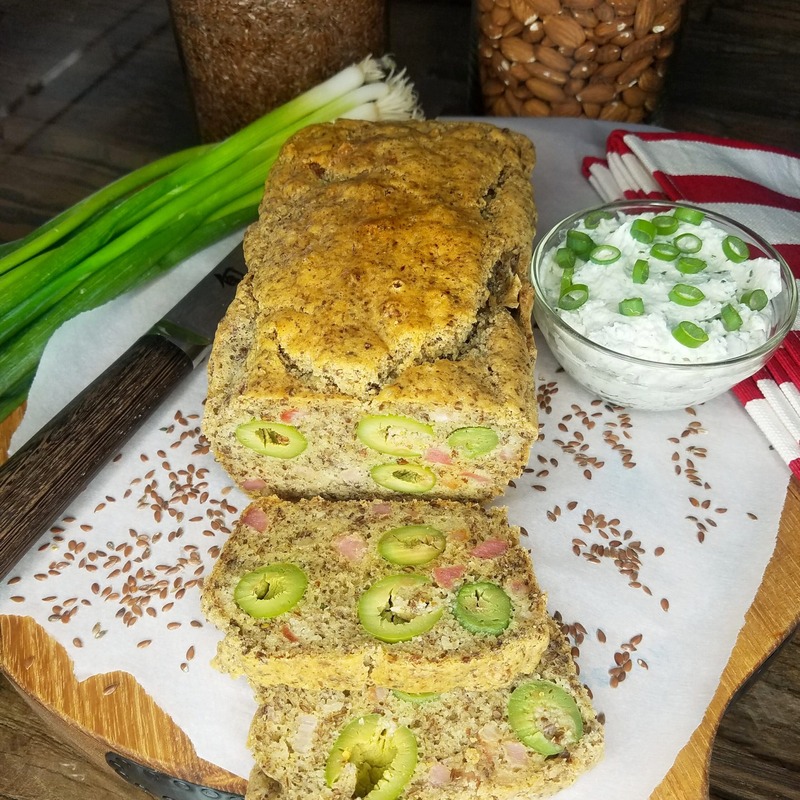 So I listened to him and created a new paleo bread recipe without seeds. Yup, it is possible! After a few trials and errors (if you follow me on snapchat and instagram -instastories- @valerieorsoni you have seen my failures and my successes), tadaaaa!!! I give you my new Olive & Pancetta Paleo Bread Recipe. You can enjoy this bread warm or at room temperature and you can totally serve it to your friends instead of chips and salsa. Or you can enjoy 2 slices with a baby spinach salad followed by a pink grapefruit. ps: Do not tell anybody this recipe is from a “diet”. It is impossible they realize this is paleo, gluten free and yeast free. So…..shhhhhh! Mix all ingredients except olives (I use a stand mixer). Transfer the mix to a standard oven bread pan lined with parchment paper. Add the olives one by one and push them in the mix in different spots so they are not all in the same area. Bake for 35 minutes. Turn the oven off and let cool in the oven (door closed) for 30 minutes.